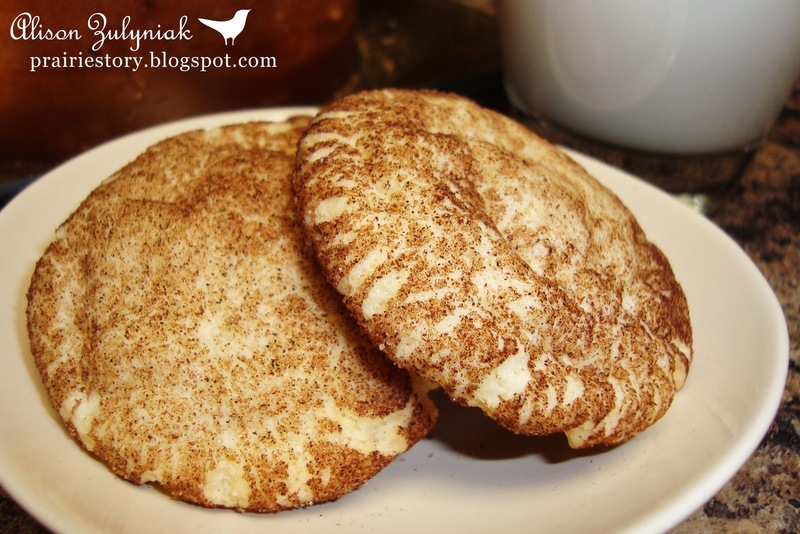 My mom would spontaneously make these Snickerdoodles every now and again...and if I remember, my brother would gobble them up! They have a nice sugar and cinnamon coating which makes them perfect compliment to a cup of coffee. - Roll dough into 1 inch balls, then roll in white sugar and cinnamon to cover. 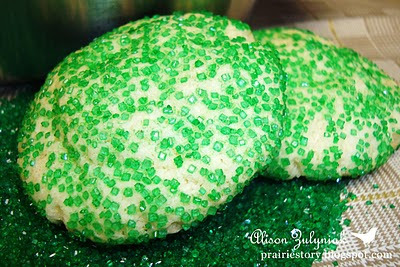 And just for fun, I rolled some in some decorative, green sugar rather than cinnamon for St. Patrick's Day! Yum! One of my favorite cookies! 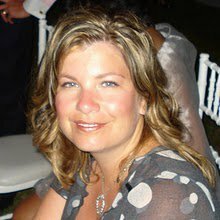 I'm not sure how I stumbled upon your blog, but I'm happy I did! Our 12-year-old neighbor was asking me (he's such a cutie) what snickerdoodles are like. Honestly, I've never made them. But he inspired me to give them a try and your recipe looks delicious - and so easy!